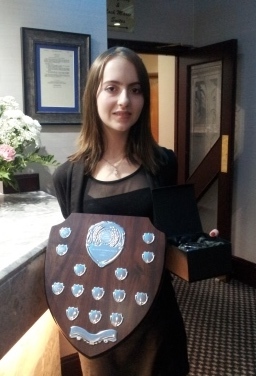 A big congratulations to Emilia Freeman who won the accolade of Young Volunteer of the Year 2015 at the Voluntary Sector Gateway West Lothian Awards. The event was held on 25th November at the Hilcroft Hotel in Whitburn where Emilia was joined by a whole host of other volunteers from around the region. Emilia attends the Green Angels Projects with The Green Team and has carried a whole host of conservation projects with the group which meet 10 times in the year to make a real difference to public sites of natural heritage around Edinburgh and the The Lothians. More information, photos and videos of the event can be found on the West Lothian Gateway website.